In brief, the Dogma F10 frame is 6.3% lighter and 7% stiffer than Dogma F8. 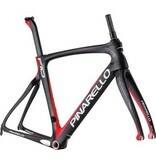 But there's much more to a high performance frame than weight and stiffness. The in-depth aerodynamic analysis and the huge amount of data derived by the development of the Bolide HR and Bolide TT was used to improve aero performances of the new Dogma F10. The down tube is one of the parts of the frame which has a significant influence on the aero performances. Because of its position, just behind the front wheel, and its dimensions (the more massive tube of the frame), it generates more that 15% of the overall drag of the frame. Therefore, intuitively, the reduction of its drag would improve also the overall drag. The final design of the down tube leads to extraordinary results: the drag of the tube itself was reduced and, and the same time, the bottles’ drag decreases. 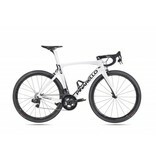 The local variation of the drag, in the area between down tube, seat tube and bottles was reduced of 12.6%. The presence of the QR lever generates a big slipstream behind the dropout, with the consequence of increasing the drag. Modifying the shape of the dropout’s area, adding material where the slipstream is high, we were able to reduce it, decreasing the overall drag. Even if a small modification, this leads to a drag reduction of the fork up to 10%, because of its importance (data derived by the analysis of Bolide TT fork). 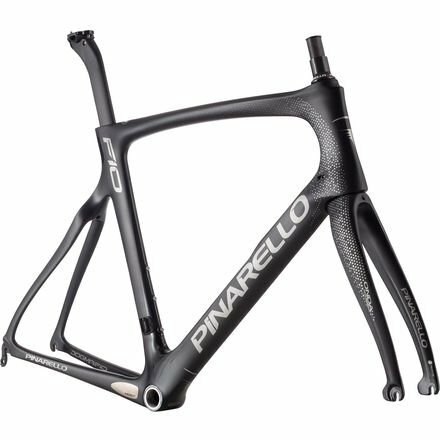 Cross sections and shape of tubes, as much as the material’s choice, are very important to ensure stiffness and lightness. At the same time, as discussed above, it has a deep influence on the aerodynamics. Therefore, the final design of tubes is the optimal compromise between an aero shape and a stiff shape. Now, developing Dogma F10, we further developed this asymmetry of the frame, moving tubes even more on the right side. This new design further improved the overall performances of the bike, especially in terms stiffness. 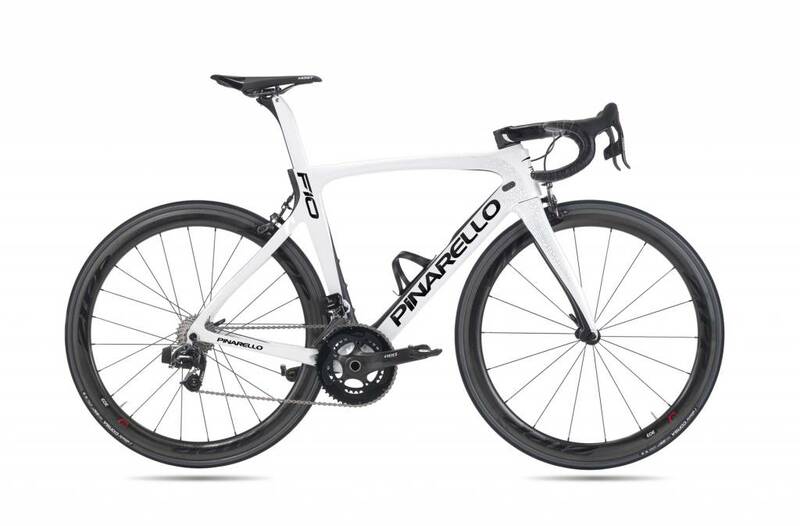 On Dogma F10, the main material used is Torayca T1100 1K, which ensures the highest tensile strength in the world. This choice contributes to increase the impact strength, to prevent breakages.